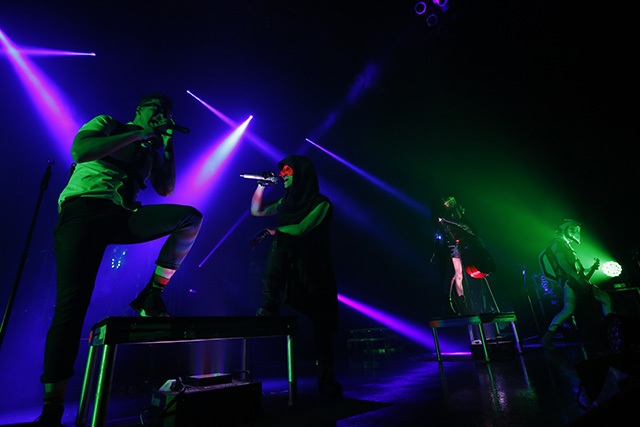 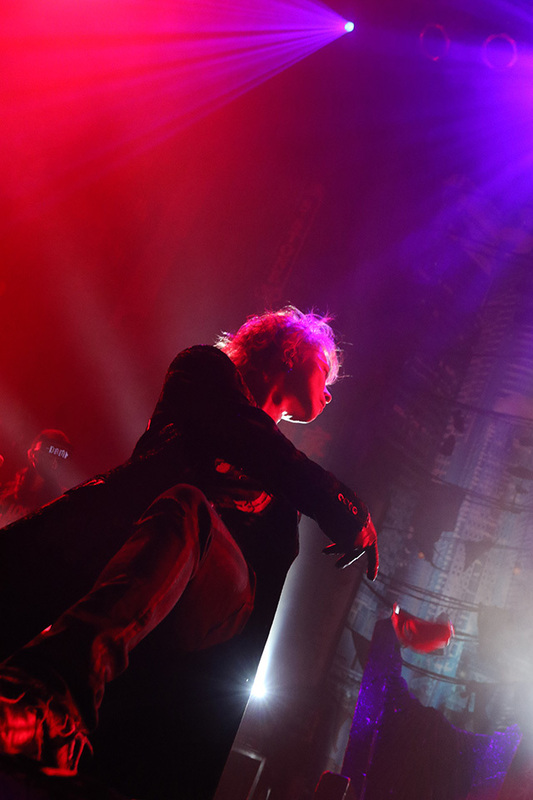 It is the 5th day of ZEPP TOKYO. 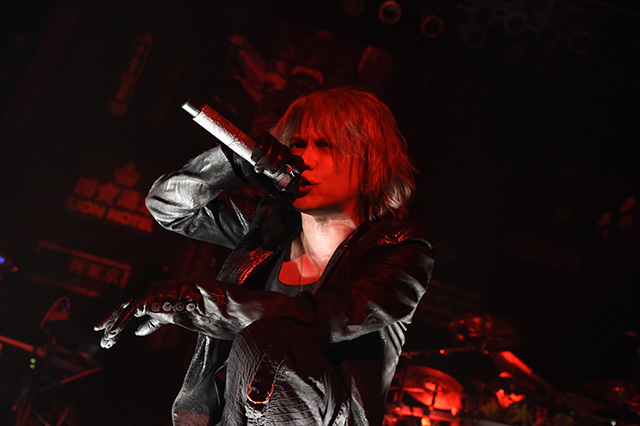 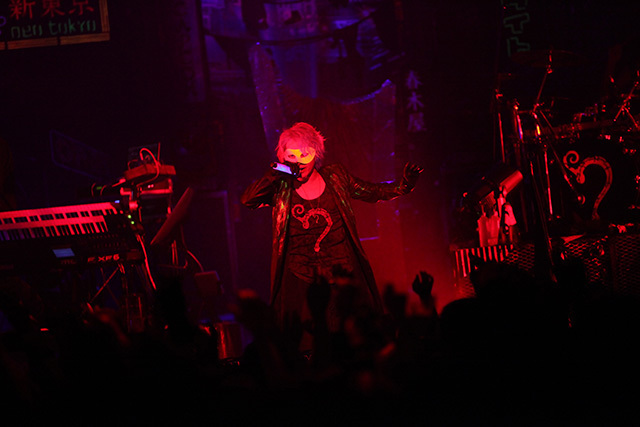 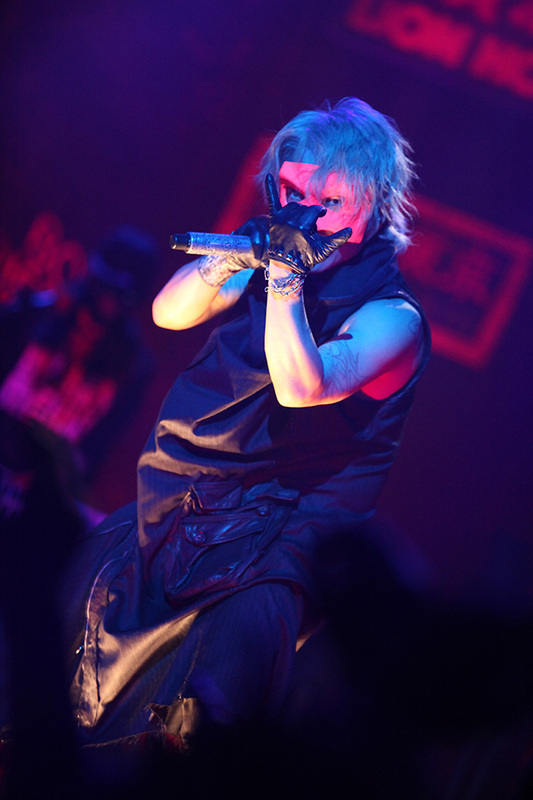 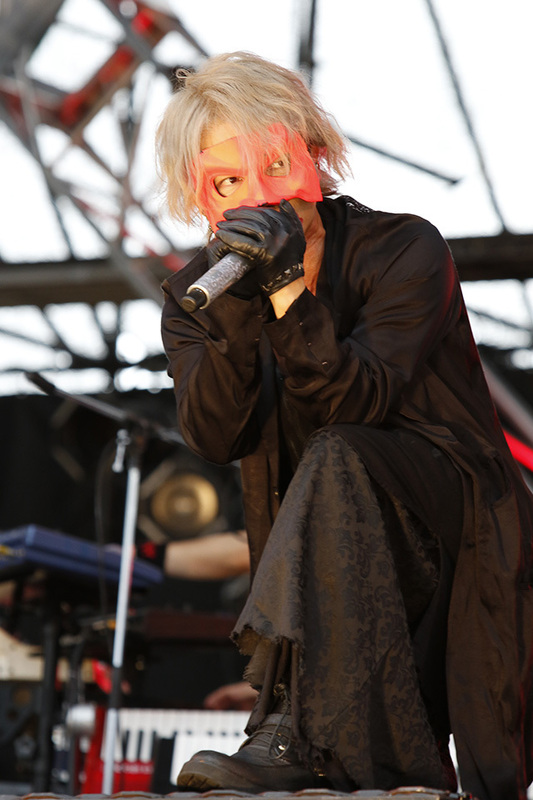 HYDE singing "FAKE DIVINE" in mask form. 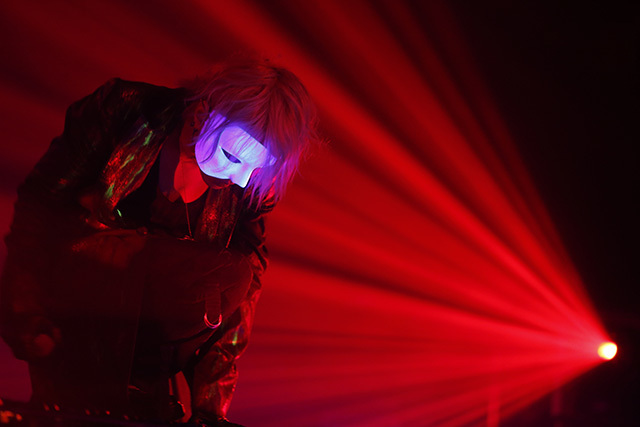 mask also shines with black light .